When it comes to adapting beloved stories for the big screen, whether the source is a popular novel, a classic fairy tale, or even another movie, there can never be a precise 1:1 match between the original and the copy. The question becomes not how to perfectly recreate every small detail, but how to put your own personal stamp on the material, how to leave the material richer than you found it. Every screenwriter has their own vision for their work just as every reader will imagine a book their own way. This vision is further filtered through the mind of the director, and while results vary widely we can group differences into three general categories: lighter, darker, and bigger. Perhaps the most common approach is that of airbrushing out a story's darker corners with the idea that “lighter is more likable,” or that movies which want to reach a large audience ought to avoid dark subject matter. This is especially common when adapting young adult literature that can get away with a level of violence that movies have a harder time excusing. This is logical to a certain extent—after all, books aren't rated the way movies are. Readers of any age can basically pick up any book they want, and there's a certain beauty to that. 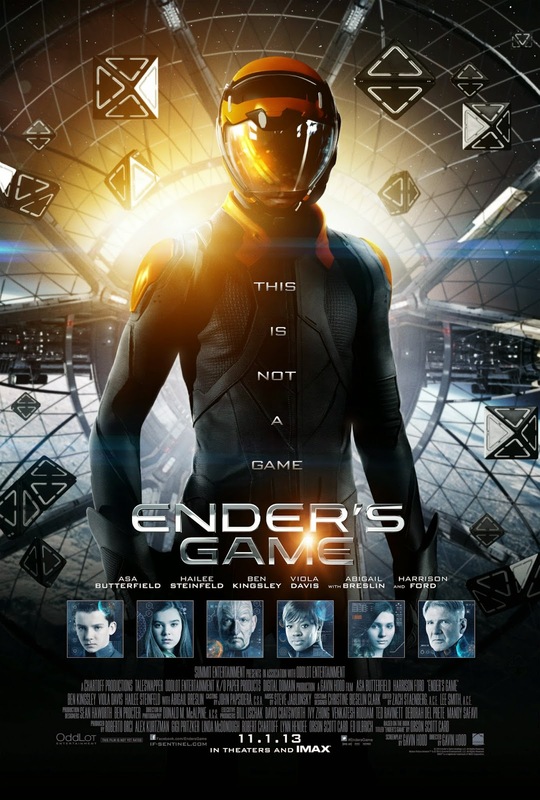 Ender's Game for example wasn't written for a young audience, it simply found one by virtue of who it appealed to. With this younger audience built in, however, the movie was forced to work within the confines of a PG-13 rating and eliminate its more savage or brutal scenes, an approach which lightened not only its tone but its message as well. Written depictions of violence are somehow seen as less disturbing than their more visceral, visual brethren, especially where blood and gore are involved. The Hunger Games: Catching Fire does an incredible job suggesting the violence of a given situation without directly depicting it. During their victory tour, Katniss and Peeta witness a civilian being shot in the head by a peacekeeper. All we see is a hint of red mist, enough to know what happened without having our face rubbed in it. While this creative decision might be seen as tasteful, in this particular instance the event is meant to serve as a turning point for Katniss, a moment when she realizes how bad things really are, and this doesn't work as well when the violence is sanitized. It is also common for film adaptations to be made lighter by removing thematic depth and social commentary. For example, as a novel World War Z touched on issues from politics to religion to the environment. It critiqued bureaucracy, isolationism, and corruption. But this political awareness was largely dropped along with the brutality of the violence for the book's PG-13 movie adaptation. Instead we get an admittedly fun zombie disaster movie which is unfortunately a bit lighter than its source material. Portraying your story in a way which is accessible to a wider audience is undeniably appealing, but when that portrayal simultaneously dulls the story's message the endeavor can become counterproductive. You reach more people but with less to say. This of course does not mean that the opposite road is necessarily better. There are plenty of books written for children which are adapted with a “darker means deeper” approach aimed at making lighter stories appealing to slightly older, more mature viewers. 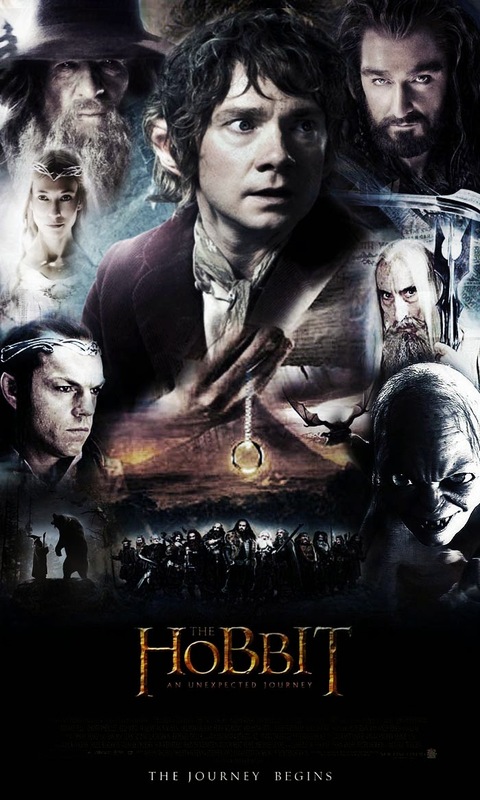 The Hobbit trilogy is the perfect example here: Peter Jackson's adaptation attempts to return to the glory of the Lord of the Rings trilogy, yet The Hobbit is a story designed for a much younger audience. Some of it works rather well, like the additional antagonists and the more comprehensive interactions with the dragon Smaug. But this approach requires a great deal of finesse in order to make characters built for kids sympathetic to more intelligent viewers, and ultimately the 13 interchangeable dwarves are hard to care about and function more as comic relief. The tone is made darker, but the story is not thereby made deeper. This approach is brought to its extreme in something like last year's Hansel & Gretel: Witch Hunters, a movie many people dismissed as garbage but one which is worth looking at for its parallels with The Hobbit. Written and directed by Tommy Wirkola, famous for his Norwegian Nazi zombie flick Dead Snow, Hansel & Gretel: Witch Hunters takes the classic fairy tale and amps up the violence and gore. This is exactly what Jackson is doing with The Hobbit, simply done to a more comically excessive degree. They both attempt to manufacture artificial maturity by adding action and romance without adding character development. The two movies take children's stories and market them to adults by adding violence rather than depth. Another curious culprit of the “darker means deeper” approach is Zack Snyder's new Superman adaptation Man of Steel. In an attempt to follow in the footsteps of Christopher Nolan's Batman trilogy, Snyder succeeded primarily in testing the limits of what you can get away with in a PG-13 movie. Superman causes more damage to Metropolis in the film than his nemesis General Zod. The reason Batman succeeded in becoming a dark comic book hero was that the Nolan movies had an ethical core: they demonstrated the conflict between justice and the law which is never a sufficient condition to achieve it. Superman allegedly stands for hope, but this is never played out in the film. At best we get a depiction of how measures (Superman) taken against terrorists (Zod) produce the very results they attempt to prevent (the destruction of Metropolis), which is an interesting critique, but one which makes Superman a villain instead of a hero. The final category of film adaptation we see quite often is the “bigger means better” approach which artificially expands its source material in an effort to be perceived as more important. The most prominent examples here are the plethora of books which are split in two when adapted for film: the last Twilight book, the last Harry Potter book, the last Hunger Games book, etc. This practice has been brought to its apex with Peter Jackson's three-movie adaptation of the single book The Hobbit. Jackson has fabricated side plots and characters out of whole cloth in order to stretch a 300 page novel into a trilogy of 3-hour long movies (for comparison, the 500 page Fellowship of the Ring fit comfortably into a single 3-hour film). Some of Jackson's creations are integrated seamlessly, but as mentioned above his additions lack the characterization and depth of Tolkien's original material. Non-fiction adaptations are especially guilty in this regard. This is understandable given the fact that the filmmakers are trying to make something larger than life out of something which is by definition life-sized. Controversy surrounded Paul Greengrass's recent film Captain Phillips for the accuracy of its portrayal of the eponymous captain. A lawsuit is being brought against the shipping company responsible for employing Phillips with the central charge being that the captain “ignored maritime warnings”. How much water the suit holds is one matter, but the point seems to be that the movie makes its protagonist into a bigger hero than he was in reality. True or not, the movie's relationship with its source material is tenuous. Jack The Giant Slayer is an exceptionally interesting example of this trend of “bigger is better”. 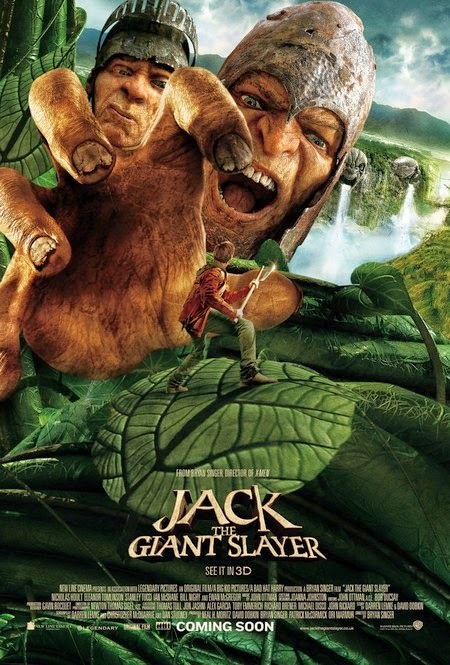 This movie is based on the fairy tale of "Jack and the Beanstalk", but is taken to another level in terms of scale by introducing elements of the similar but unrelated fairy tale "Jack the Giant Killer". The premise is identical to that of "Jack and the Beanstalk", but instead of encountering a single giant after planting the magic beans he encounters an entire army of them. This might sound like another case of Hansel & Gretel: Witch Hunters which takes its source material as an excuse for mindless action, but Jack the Giant Slayer actually works surprisingly well as a young adult fantasy adventure. I wouldn't call it deep or moving, but it accomplishes its goal of creating an original and entertaining kids' movie by combining two stories to make the original bigger. When adapting beloved stories for the movies, you're always going to please some fans and alienate others. 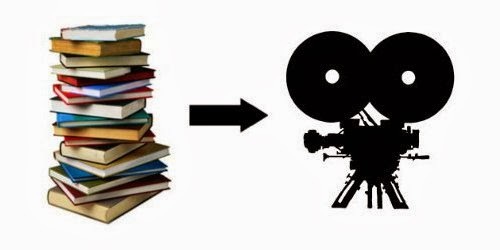 The natural differences between the two media preclude the possibility of a perfect representation of a book on screen. With this in mind, two things need to happen. The first is that fans need to temper their expectations. It might sound counterproductive, but rereading a book before seeing the film version can actually be helpful. It can remind you of a book's flaws as well as its strengths and can eliminate any nostalgia associated with the story and its characters. Remember that when it becomes a movie it also becomes someone else's vision, and what they see in their head will be different from what you see in yours. For writers and directors, the important lesson is that you have to want to tell the story. 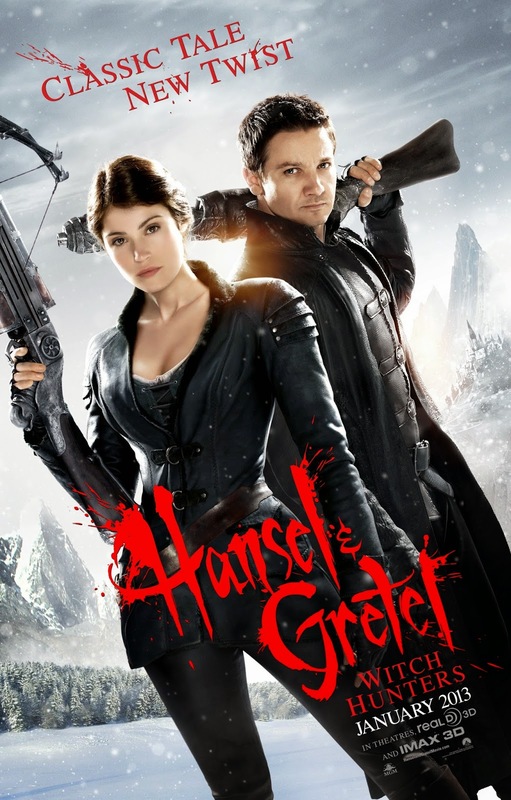 Hansel & Gretel: Witch Hunters is such a surprising stand-out because writer/director Tommy Wirkola really wanted to make an adult version of the fairy tale (it was his favorite fairy tale growing up and he sat on the idea for years developing it). What we get is silly and ridiculous, but it has personality despite its modest budget. On the other end of things is Man of Steel, which from the beginning was an effort by Warner Bros to make more money off the Superman franchise and hopefully develop it into a trilogy to match Nolan's Dark Knight. The result is flashy and has lots of expensive CGI, but it lacks the spark that would set it apart from the masses. This was originally written for and published by Literary Traveler, so go check out their website!